The Bridge Tea Rooms offers traditional British afternoon teas, lunches and light meals. Fine leaf tea is served in delicate bone china cups, and staff wearing Victorian costume serve home-made cakes, scones and sandwiches on tiered stands. 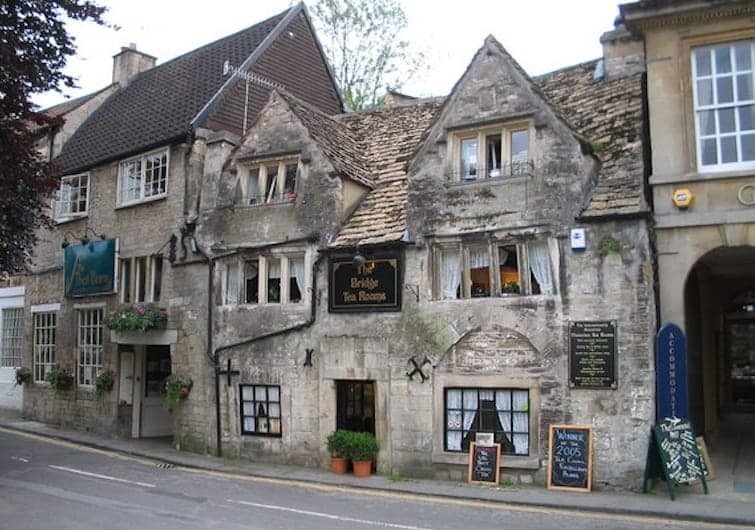 These atmospheric award-winning tea rooms are housed in a former blacksmith's cottage dating from 1502 in the tranquil riverside setting of Bradford on Avon.